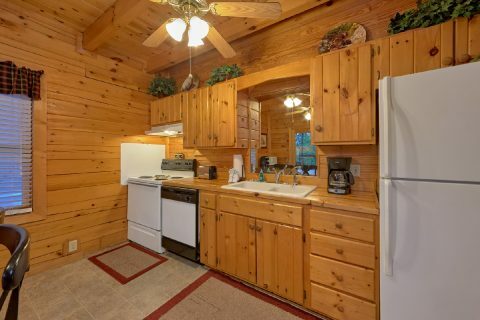 Looking for a private 2-bedroom cabin rental near Gatlinburg for your vacation? 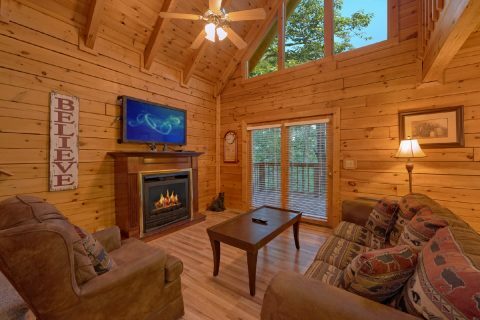 "A Twilight Hideaway" provides guests with luxurious cabin that and a convenient location near all the fun and excitement of the Smoky Mountains! 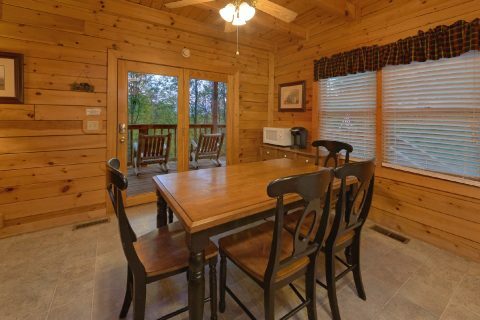 With great features and private setting that doesn't sacrifice convenience, you're sure to have the cabin vacation of lifetime! 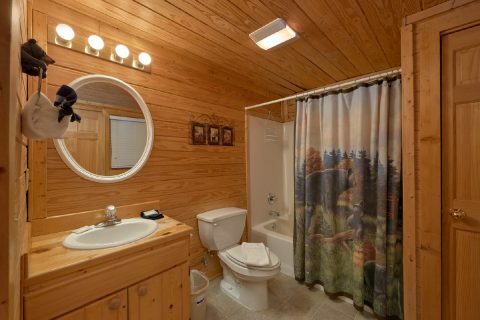 This 3-level cabin offers guests a chance to enjoy the mountain air. 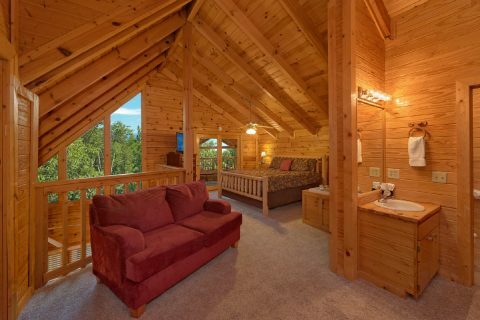 Relax in your porch swing and take in a mountain sunset. Entertain family and friends with the charcoal grill for cookouts. 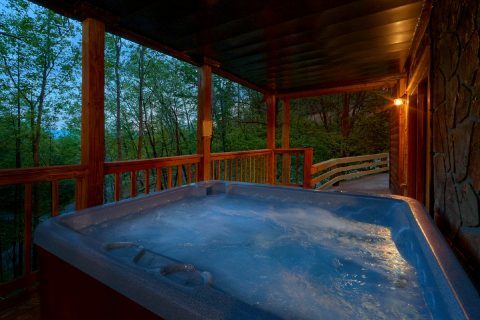 Unwind in the warm waters of your hot tub and forget your cares. No matter how you want to spend your Smoky Mountain vacation, there's no shortage of things to do! 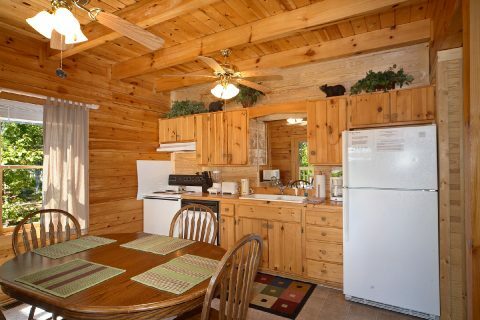 There's shopping and dining at The Island, fun family attraction in Pigeon Forge, and stunning natural beauty as well. 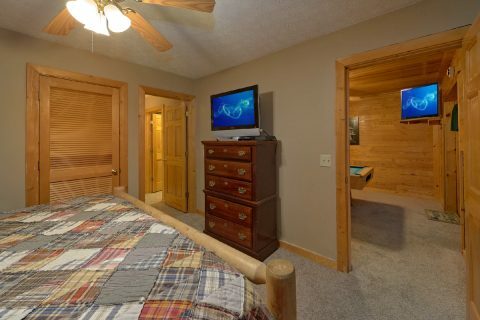 After a day of fun and excitement, you'll want to rest up for another day of fun. 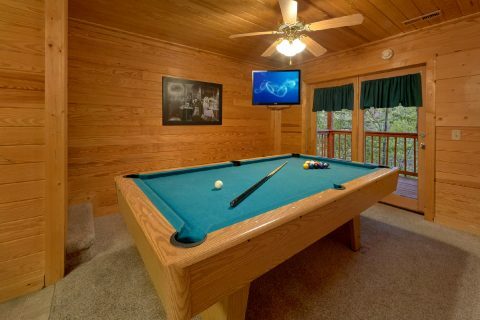 Relax in front of the warm glow of the gas fireplace in the living room, or enjoy some friendly competition at the pool table. Watch the big game or your favorite shows on the satelitte TV. 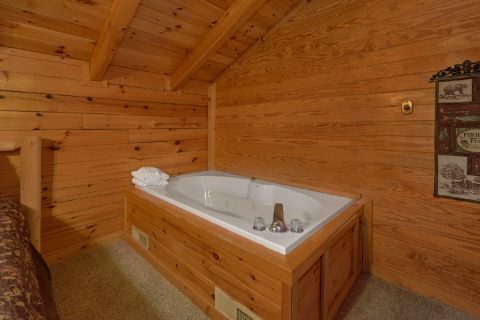 Enjoy a spa night in one of your cabin's jacuzzi tub. 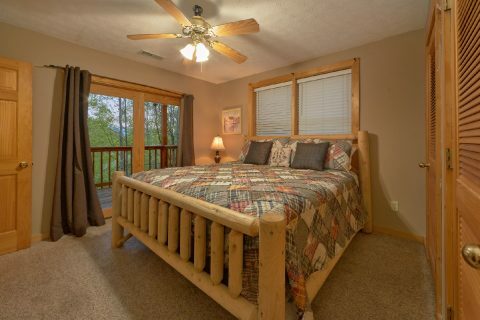 Your cabin's 2 king beds provide the perfect place to enjoy a peaceful night's sleep. 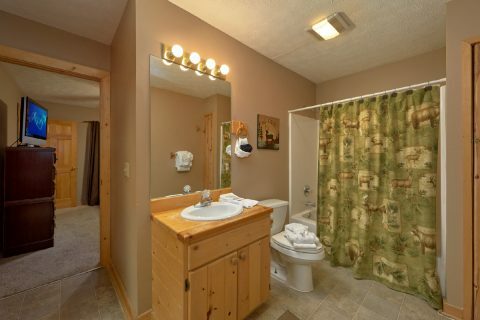 Additionally, your cabin also provides everyday conveniences such as dishwasher and washer and dryer for a comfortable cabin stay. Escape to a "A Twilight Hideaway" on your Smoky Mountain vacation! 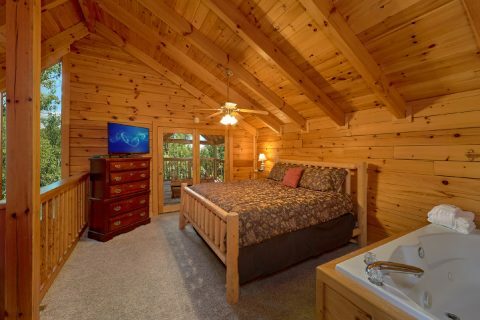 Book this private 2-bedroom cabin near Gatlinburg today and enjoy a 15% online booking discount!